Garmin BC30 wireless camera installation – part 2 - Which Sat Nav? At this stage then you should have managed to install the camera and given it a quick test. Hopefully everything is working as it should be and your almost good to go. However, before your released onto the general public with your new system it’s a good idea to configure the camera properly. The video above brings you through the process of configuring your newly installed camera. 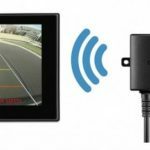 How do I configure the backup camera? You will now be able to line up the guidance lines on the screen with those on the ground. Move the onscreen arrows up and down until they are aligned. The red line that you see on the screen should mark the back of your vehicle. This will then tell you when you are getting far too close to an obstruction. Once you have the configuration completed it’s a good idea to move the car to another spot. You should now check that the alignment has been done correctly and the device recognises your exact position in relation to the parking spots. Did you know that it’s possible to have up to 4 cameras paired to your device. This will provide you with better visibility around the vehicle. If you purchase the additional cameras separately then each camera will need to be paired individually. If on the other hand, you purchased the set as a whole then the cameras will already be paired. To be honest it’s not that much of a big deal to pair the cameras with your device as the procedure is fairly straightforward. Once you do this the screen will prompt you to ensure that there is no power going into the device. Place your vehicle in either neutral or park mode and then select “OK” on the screen. Now you can reintroduce the power and put the vehicle into reverse – please be careful of your surroundings! You should now see confirmation the screen that the new camera has been paired successfully with your device. And that’s it! 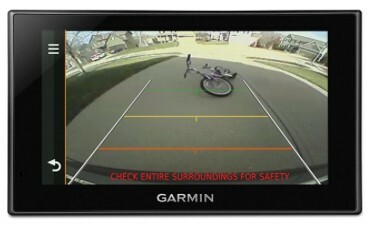 You should now be good to go with your sat nav integrated new camera system. Easy? To be fair, it’s not too difficult of an installation but it can be rather fiddly yo complete.The most difficult part is the physical installation itself. To make it easier to instal please make sure that you spend the time thinking of the best location for the camera and the routes for the cabling. This will ensure that you don’t run into any problems in the future. 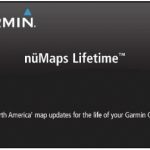 If however, you do find yourself in some difficulty, the final Garmin BC 30 installation video is bellowed covers some the more common issues. I hope you enjoyed this brief installation guide and found it useful. If you would like to read some more reviews and see the latest prices, then head over to Amazon using the link below. This is a site i have never heard of before, you have a lot off information on your website. I like the whole lay out off your website, the visitors to your site i am sure will be well inform. Its amazing how things are changing on a daily basis to make life a whole lot more easy, good job. Professionally designed website! Your content and organization of web pages inspire confidence to every potential customer who wants to buy one of the products which you promote on your website. Also, I like the support pages which you are created for customers which are going to buy the products through your site, and I definitely like your manual page too. Dylan, awesome guidelines you’ve shared. I am so glad you have written this easy go to help guide that can help people like myself when searching online for help. You have made it easy to read, and the videos are most helpful. I love back up cameras and the safety they provide. I’ve been thinking about installing some on my vehicle.